The general conditions apply to all beauty treatments, product orders, which you – the customer – act as a principal and/or purchaser (“you”), and we, Sugar Me Body Sugaring practice, act as contractor and/or vendor (“we “). By making an appointment for a beauty treatment, massage, and/or ordering a product, you accept our terms and condition. You also agree that if you use general (purchasing) conditions, they do not apply. You must provide us, with all the information that can reasonably understand to be necessary for us in the context of the beauty treatment. An appointment for a treatment is made and confirmed exclusively via email info@sugarme.nl or contact form. • Please include your full name, address and phone information when making an appointment, (this in case of an invoice). • After Sugar Me received the requested information, you will receive a confirmation email of your appointment. • If you are late, you let us know at least 30 minutes before your appointment by telephone. • If you are more than 15 minutes late for your appointment and we have not heard from you, it may be that we can’t help you anymore. We are entitled to cancel while retaining the right to receive the full amount for the beauty treatment. • If you are unable to attend, you can notify us (free of charge) 24 hours before your appointment. • Notifications within 24 hours of your appointment will be charged 100%. • Not showing up after an appointment will be charged 100%, (you will receive an invoice). • If there’s any unavoidable impediment on our side, we will immediately notify you via the contact information known to us. We will perform all our treatments, to the best of our knowledge and ability in accordance with the requirements of good workmanship. In our practice, you behave decently and follow our instructions. We expect that your personal hygiene is in order. If your behavior and/or personal hygiene is according our judgment out of order, we reserve the right to deny you (further) access to our practice DISCLAIMER Although Body Sugaring basically is a safe method of hair removal and can be less painful than similar treatments, exercise, skill and technique are required for best results. Poor technique can cause pain and lead to skin damage and/or bruising. In case, after a treatment, or using our products more than significant and/or prolonged skin problems occur, we recommend to stop the continued use of our Sugar Body treatments and/or products. after your treatment. We will consult with you, to find a mutually acceptable and reasonable solution to the complaint. It is possible that you are allergic to any of the ingredients we use in our products. Therefore, make sure you are well aware of your (possible) allergies, before undergoing treatment or purchase a product from us. If an allergic reaction may occur after use of a product, we advise you to stop further use immediately. We are not liable for any damage you may suffer as a result of undergoing a beauty treatment if such damage is the result of you provide incorrect or incomplete information, information and/or data on your person, physical disorders, medication your work and/or your leisure activities. In all other cases, our liability is limited to the price you paid for the beauty treatment. This limitation of liability shall lapse if the alleged blame of gross negligence or willful misconduct is on our side. The use of our products is at your own risk and we are not liable for any damage you may suffer as a result of your use thereof. Products can be ordered through our website www.sugarme.nl. It is also possible to pick up your order, by appointment only, at our location in Amsterdam. Prices on our website are inclusive of VAT (unless otherwise indicated) and exclude shipping costs. The total cost, including shipping, you transfer to our bank account, after receiving your invoice via email. The applicable payment information is printed on your bill. After receiving your payment we will send the ordered goods to the address you provided. Please allow a delivery time of approximately 2-3 business days after receiving your payment. Depending on the size of your order and our stock, the delivery time will be indicated on your invoice. Of course, we do our best to deliver your order as soon as possible. We guarantee that all our products are handmade, 100% natural and contain organic ingredients without artificial additives. Unopened, unused items in their original packaging, you can return to us for a refund of the purchase price, excluding shipping. The condition is that you send an email to us within seven working days. in which you indicate you wish to return your purchase. The cost of return is for your account. Upon receipt of the returned goods by you, we will transfer the cost of your purchase (excluding shipping costs) as soon as possible in your bank account. We are not obliged to refund if we determine that the returned products are opened and/or used. You agree that we can not be held liable for any damage you may suffer in connection with your professional or industrial use of our products. You indemnify us against any claims of any third party with whom we are called upon to pay compensation for damage to the third party who suffers or has suffered (a) as a result of a service that you have provided to these third party using our products, and (b) due of the private use by that third party of products you have supplied. We process personal data and do so only in accordance with the Data Protection Act and other relevant legislation. Without your prior consent, we do not provide personal data to third parties unless we are required by law or government. Given the nature of our products and services, we commit ourselves to respect the strict confidentiality of all confidential information or relating to your person, your body and the treatments you are undergoing. This obligation shall lapse if we are forced to disclosure by law or government. On each transaction and agreement between us is governed by Dutch law. 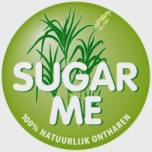 Sugar Me, Amsterdam, is registered at the Chamber of Commerce 73689149.